CYA.NZ is developed with minimalism and simplicity in mind. Unlike many other URL Shorteners, CYA.NZ is free of obstructing ads, excess text, and extravagant pictures or alerts. CYA.NZ is hosted on cloud computing environments with Mac Pro (Yosemite Server 4.0). Though we do not guarantee uptime, CYA.NZ minimalistic philosophy and capable infrastructure enables users to shorten and access links with a low latency. While many URL shorteners claim to ‘shorten’ your URLs, the URLs they create are often longer than 11 characters. 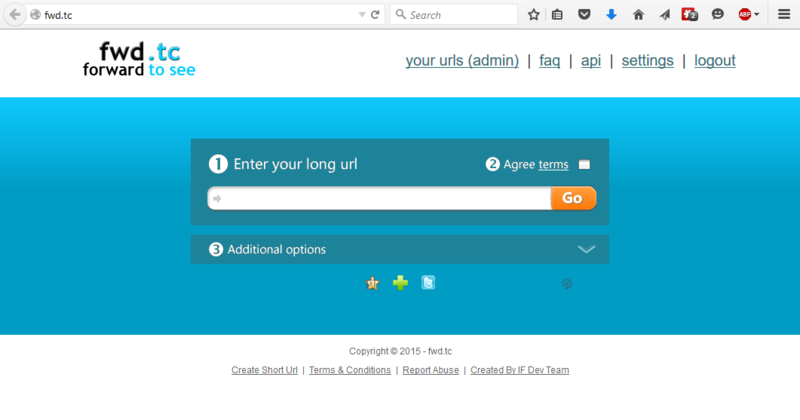 CYA.NZ strives to create truly short URLs. Launched on 1st of October 2015, with service language available in English and Indonesian. CYA.NZ is the successor of FWD.TC (Forward To See) which launched earlier in 14th of January 2012.
fwd.tc (forward to see) when it was still online. Unlike it’s predecessor, CYA.NZ is revamped with major enhancements, such as responsive web design, even more detailed statistics, and many more. All FWD.TC users were transparently converted to CYA.NZ. All FWD.TC URLs remains working and seamlessly redirected to CYA.NZ.